You just came from home from a long vacation, and now you don’t remember the WiFi password. Or let’s just say you have set up a complicated password, which you don’t remember now. Well, forgetting your Wi-Fi password can be frustrating. But fret now, if you have any device connected to the WiFi network or have access to your router’s web interface, then you can easily find your Wi-Fi password. So, let’s see what options do we have. So, let’s see what options do we have, when you forget your Wi-Fi password. If there is any Computer or Android smartphone connected to the same WiFi network, then you can extract WiFi password by going to its network settings. It’s easier to do this on Computer then on the smartphone, though. On Windows computer, go to your network and sharing center > click on the WiFi name > a new window will open, select wireless property > security > show password. And that’s it, here is your WiFi password in plain text. See gif animation here. Or, you can also use password recovery utilities Wireless Key View from Nirsoft. If you have a computer running Mac OS, then go to Applications/Utilities/Keychain AccessHere you will see the list of all WiFi networks. Scroll down till you see your current WiFi name (or use the search bar on the top). Once your find the WiFi name > double click it > show password > enter the MAC’s login password. And there you have the Wifi password of that network. To find the WiFi password of connected using an Android simply use the app WiFi Password Recovery. You will need ROOT access, though. 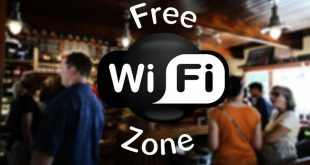 I suggest you watch the following video or read this detailed article on how to find out WiFi Password Linux, Android, and Router, etc. This is the most popular method and I often use it to find the Wi-Fi password of my home Wi-Fi when I don’t remember it. However, this is slightly technical, and you at least have an idea about router web interface. But, the good news is, it works when the above method fails. Now, if you don’t have any device connected to your Wi-Fi network, then connect your Computer to the router via ethernet cable. Next, open any web browser, and type in the router’s IP address in the Omnibox of the browser. Usually, the router’s IP address is 192.168.1.1 or 192.168.0.1. However, if you don’t remember the router’s IP address, you can use launch your terminal and type in ipconfig, the default gateway that you see is the router’s IP address. Enter that router’s IP address the browser and hit enter. Next type in the router’s username and password. Again, usually it’s admin and admin or admin and password, but if you know what it’s, contact the person who has set up your network. Unlike the router’s IP address, there is no way to find its username and password, if you forget it. Now, once you are in the router’s web interface, look for the Wireless option. Every router has different UI, but the basic remains same, look for the option that says Wireless, SSID, Security, etc. There you’ll find your Wi-Fi password. 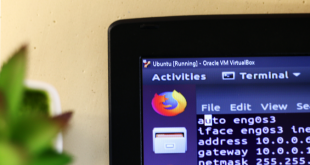 This method is little less known, but if your router supports WPS, then you can connect to your router by pressing the small WPS button at the back of your router. No need to enter any Wi-Fi password. And once you are connected to the Wi-Fi network, you can use the above methods to find the WiFi password. So, how exactly WPS works? Well, WPS is short for Wi-Fi Protected Setup. It’s a protocol invented by Wi-Fi Alliance – a non-profitable organization that certified all the WiFi protocols. WPS is useful for devices that don’t have any interface to where you can type a WiFi password. Like your Wireless printer or Wi-Fi repeater etc. 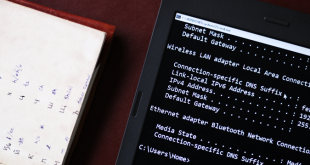 When you press the WPS button at both your router and Android smartphone simultaneously, the router automatically shares the WiFi password over the air and connects the device to a router without any need to enter the WiFi password. Watch the following video on how to connect to *Some WiFi network without the password. Now, to reset your router, press and hold the small reset button at the back of the router. In some routers, the reset button can only be pressed by a pin or ball point pen. So, push the reset button, till you see all the light on your router blinking. This will put the router back to the factory default settings. Now, you’ll see a new WiFi name something with your router’s model number like – TP-Link w8908, etc. Connect to that, and for password enter the pin printed at the back of your router or (sometimes it’s printed in the router’s box), and once you see the router’s interface, you can now set up a new Wi-Fi password. Note: Resetting your router to the factory default should be your last resort. Only consider it when none of the above methods works because you will need to reconfigure internet settings provided by your ISP. In most router’s you can follow quick setup guide and enter the username and password provided by your ISP. You can also call your ISP and ask them for help. Most routers have a remote management feature, using which your ISP can remotely access your router and do all the configuration from their office. So, these were some of the ways to find your lost Wi-Fi password. You can also try hacking your WiFi network for the password with Kali Linux etc. Now I know, this is more of theory than a practical implementation. But you if you want to find your Wi-Fi password, and have some fun while doing it, then you can hack your network with brute force as well. For a temporary solution, you can turn your Turn Your Windows Computer into a WiFi Hotspot and use it as a source of Internet. The easiest method to find Wi-Fi password is either from your router and the other devices connected to the same network. Do, let me know, if you face any issue in the comments.